These Terms apply only to the use of certain U.S. websites which are owned and/or operated by or on behalf of Bodum USA, Inc. and/or its affiliates (“BODUM®”) (each, a “Site,” and, collectively, the “Sites”), or available through our authorized third parties, or by any of the other means described herein. This Site and any of the products and services provided by BODUM® in connection with the Site (the “Products”) are being provided to you expressly subject to these Terms, which govern your use of the Sites. These Terms shall take effect immediately on your first use of the Site. If you do not agree to these Terms, you are not authorized to access, browse or otherwise use the Sites. BODUM® makes the Site available subject to the terms and conditions set forth herein and all applicable laws. By accessing, browsing or otherwise using (collectively, “use” or “using”) the Site, you acknowledge that you, the individual user of the Site, have read, understood and agree to be legally bound by these Terms, and to comply with all applicable laws and regulations, without limitation or qualification. By using the Site, you further acknowledge that you have the authority to and do hereby legally bind the business entity, if any, which you serve as an agent, independent contractor or employee thereof to the same Terms, without limitation or qualification. When we refer to “BODUM®,” “we,” “us” or “our,” we mean Bodum USA, Inc. or the specific division, subsidiary, or affiliate that operates the Site, provides its content, or processes information received through it, each as appropriate and applicable. When we refer to “you” or “your,” we mean the person accessing the Site. If the person accessing the Site acts on behalf of, or for the purposes of, another person, including a business or other organization, “you” or “your” also means that other person, including a business or other organization. You acknowledge and agree that any information, comments, documents, images or general content you enter in or post on the Site may be viewed by any other users with access to the Site, and therefore will not be considered confidential by you. By providing any such information, comments, documents, images or general content to BODUM®, you grant to BODUM® an unrestricted, irrevocable, worldwide, royalty-free license to use, reproduce, display, publicly perform, transmit and distribute such information, comments, documents, images or general content on the Site. 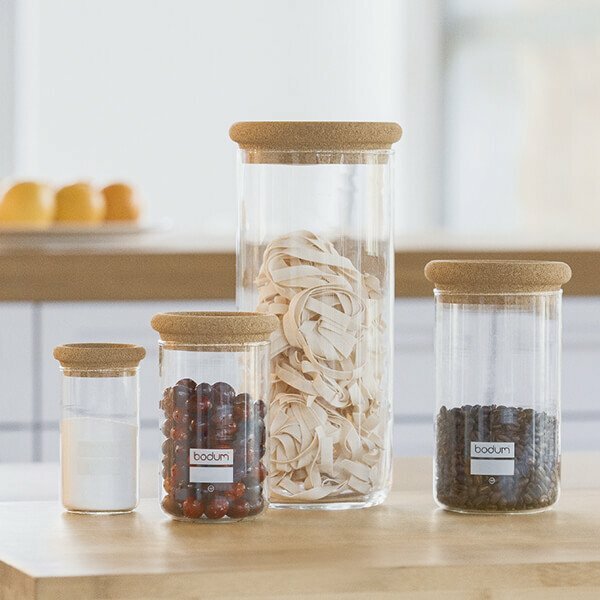 You further agree that BODUM® is free to use any ideas, concepts or know-how that you, or individuals acting on your behalf, provide to BODUM®. You hereby agree that any comments, feedback or recommendations made by you for the improvement or modification of the Site or the Products advertised herein shall be the sole property of BODUM®. Any access or attempted access of other areas of BODUM®’s computer systems, third-party systems, and Products that BODUM® utilizes or other information contained therein for any purpose is strictly prohibited. You agree not to interfere in any way with others’ use of or access to any Site. BODUM® reserves the right to report any activity that it reasonably suspects violates any law or regulation and to disclose any information to law enforcement officials or regulators or other appropriate third parties. BODUM® has the right to modify, suspend or discontinue, temporarily or permanently, the Site, any Products provided by BODUM® through the Site, or your right to access or use any portion of the Site, in BODUM®’s sole discretion, at any time and without prior notice, for any reason, including without limitation, (1) attempts by you (or another party) to gain unauthorized access to any Site or assist others in attempting to do so, (2) your (or another party’s) disabling of any security features on any Site, (3) your violation of these Terms, (4) suspected or actual infringement of a third party’s intellectual property rights, or (5) pursuant to requests by law enforcement or other government agencies. You warrant to BODUM® that you will not attempt to gain unauthorized access to any, services offered by BODUM® or computer systems or networks connected to any BODUM® server through hacking, password mining or any other means. You may not obtain or attempt to obtain any materials or information through any means not intentionally made available by BODUM®. When using the Site, you agree not to pretend to be someone else or to spoof their identity. As a user of the Site, you have a non-exclusive, nontransferable, limited, revocable license to use the Site solely for your internal business use. You may not use the Site for any other purpose whatsoever. Without limiting the previous sentence, you may not reproduce, modify, distribute, transmit, display, perform, reproduce, transfer, sell or publish any of the contents of the Site without the prior written consent of BODUM®, which consent may be withheld, conditioned or delayed in its sole discretion, except that you may print out a copy of the content solely for your internal business use. In doing so, you will not remove or alter, or cause to be removed or altered, any copyright, trademark, trade name or service mark or any other proprietary notice or legend appearing on any of the content. You are prohibited from including links from other websites to the Site without the prior written consent of BODUM®, which consent may be withheld, conditioned or delayed in its sole and absolute discretion. YOU REPRESENT AND WARRANT TO BODUM® THAT YOU ARE AUTHORIZED TO ENTER INTO AND BE BOUND BY THESE TERMS. By ordering Products on the Site, you shall be deemed to have ordered the specified Products (as defined) from BODUM® pursuant to these Terms. The acceptance and fulfillment by BODUM® of any order (“Order”) placed on the Site is subject to your acceptance of and compliance with all of these Terms. You accept these Terms by placing an Order through the Site or by receiving delivery of any Products ordered by you from the Site. If you are a commercial buyer of Products hereunder, the Terms and Conditions for Commercial Purchases of Products ( https://www.bodum.com/ca/en/terms-and-conditions ) (“Commercial Purchase Terms”) shall also apply. All other contrary terms and conditions are hereby rejected by BODUM®, and no addition or modification to these Terms shall be binding unless specifically agreed to in writing by BODUM®. BODUM® shall not be deemed to have accepted your Order unless and until BODUM® sends to you, through electronic means or other written communication, an acknowledgment that your Order has been received and accepted by BODUM®, and will be fulfilled by BODUM®. BODUM®’s acceptance of any Order by you is made only with the express understanding that these Terms shall govern any Order placed by you. To purchase any Products on the Site, you must (a) be legally permitted to enter into a legally binding contract (at least eighteen (18) years old in most jurisdictions), and (b) be a naturalized person residing in one of the 50 states of the United States, Canada or Puerto Rico. Prior to the purchase of any Products on the Site, you must provide a valid credit card number (or other payment method acceptable to BODUM®) and related payment information, including all of the following: (i) your name exactly as it appears on the credit card; (ii) your credit card number; (iii) the credit card type; (iv) the date of expiration; and (v) any activation numbers or codes needed to charge your credit card. By submitting that information, you hereby authorize BODUM® to charge your credit card for such purchases. The risk of loss and title for all Products ordered on the Site passes to you when the Products are delivered to the shipping carrier. All prices for Products on the Site are quoted in U.S. currency, are valid and effective only in the United States, Canada and Puerto Rico, and are subject to change at any time without notice. User shall be responsible for any tax or other governmental charge related to the sale, use or delivery of the Products, including, but not limited to, sales tax, use tax, retailer’s occupational tax, and value added tax. BODUM® shall automatically charge your credit card and withhold the applicable tax for Orders to be delivered to addresses in any states, localities or other jurisdictions that it deems is required, however, BODUM®’s failure to do so shall not relieve you of any liability for such taxes. Product availability is subject to change at any time. 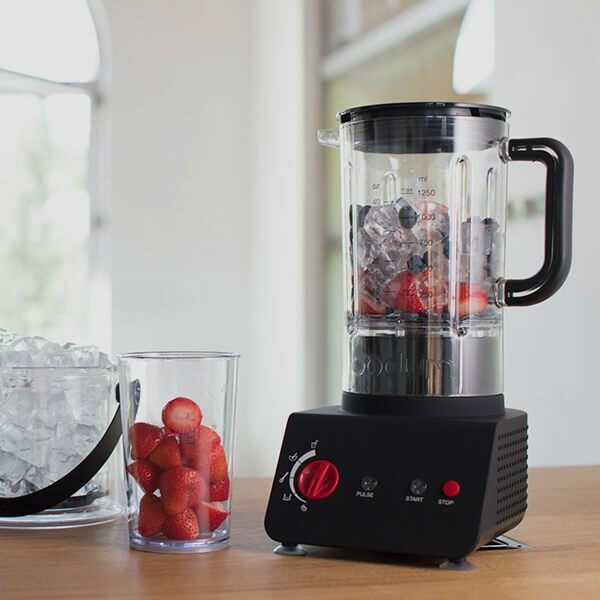 BODUM® makes no representations or warranties regarding the availability of Products in all areas. BODUM® shall have the right to refuse or cancel any Orders for Products listed at an incorrect price or rebate amount, or containing any other incorrect information or typographical errors. BODUM® shall have the right to refuse or cancel any such Orders whether or not the Order has been accepted by BODUM® and/or your credit card has been debited. 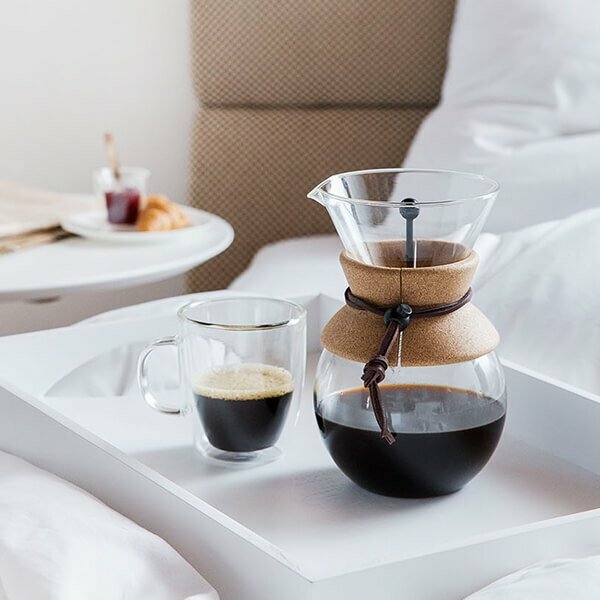 If your credit card has already been charged for the Order, and your Order is refused or canceled, BODUM® shall promptly issue a credit to your credit card account in the full amount of the charge. All payments for Orders on the Site must be made by [VISA®, MasterCard® or American Express®]. Except as may be expressly set forth on the Site, BODUM® does not accept any other payment form. Your credit card agreement with the issuer of such card shall govern your use of such credit card, and you must look only to that agreement and not to these Terms to determine your rights and obligations relating thereto. You agree to pay all fees and charges, including taxes incurred in connection with your Orders, at the rates in effect when the charges were incurred. Unless you notify BODUM® of any discrepancies in charges for Orders placed through the Site within sixty (60) days after they first appear on your credit card statement, you agree that such charges will be deemed accepted by you for all purposes hereunder. In the event BODUM® does not receive payment from your credit card issuer or its agent, you shall pay all amounts due upon demand by BODUM®. You shall remain responsible for any unauthorized charges to, or Orders using, your credit card including unauthorized use by a third party. If BODUM® does not receive payments when they are due, then you agree to pay all amounts owed to BODUM® upon demand by BODUM®. If BODUM® is unable to collect amounts owed on your accounts, BODUM® may refer those accounts to a collection agency, and you will be responsible for all costs of collection. 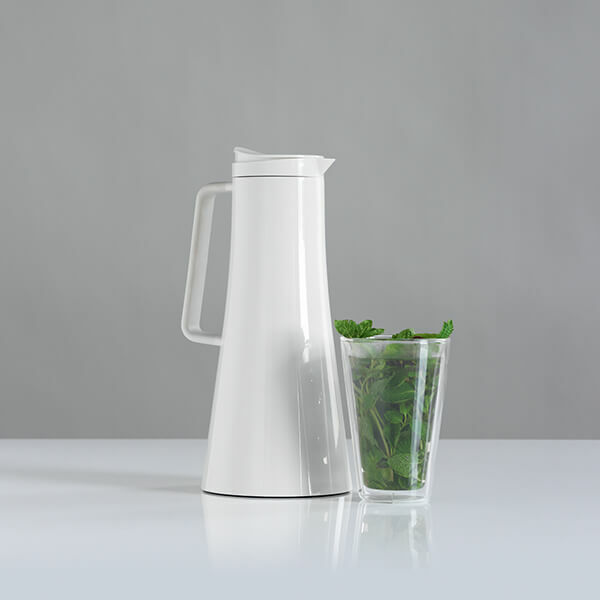 By placing an Order on the Site, you indicate that you have read and agree to BODUM®’s [Returns Policy] https://www.bodum.com/ca/en/warranty-and-returns/. The Returns Policy may be changed from time to time and is effective immediately after BODUM® posts such changes on the Site. In addition, when using particular services on the Site, you agree that you are subject to any posted policies or rules applicable to any such services you use through the Site, that may be posted on the Site from time to time. Any such posted policies or rules are hereby incorporated by reference into these Terms as if fully set forth herein. All information and content provided on the Site, whether explicitly marked or not, is the property of BODUM®, its subsidiaries, affiliated companies or joint partners, or others, and are subject to U.S. and international copyright and unfair competition laws. The information and content provided includes, but is not limited to, the text, graphics, image, video, audio, animation and software, their related files and their arrangement on the Site. All trademarks, service marks, logos, model and brand names, emblems and protectable trade dress elements (collectively, “Marks”), whether explicitly marked or not, used on the Sites are owned by BODUM®, its subsidiaries, affiliated companies or joint partners, or used under license, and are subject to U.S. (federal and state) and international trademark and unfair competition laws. You may not copy, reproduce, download, upload, post, broadcast, transmit, distribute, publish, republish or otherwise use any information, content or Marks provided on the Site in any form or by any means, or by any information storage or retrieval system for any commercial use without the express written permission of BODUM®. You are not permitted to create a hyperlink to any page or portion of any Sites or frame any page or portion of any Site without the prior written permission of BODUM®. You may, however, copy, print or otherwise use the information, content or Marks provided on the Site, provided that the use is for your personal, educational or internal business use only and further provided that you (1) maintain all copyright and other intellectual property notices together and intact with any information or content; (2) do not modify or otherwise alter any information or content; and (3) do not expressly or implicitly suggest an association with any services, products, brands or affiliates through the use of any information or content. 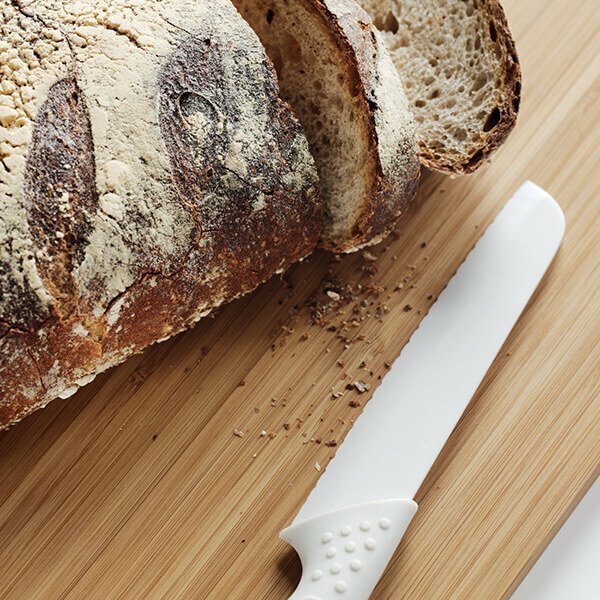 Other use of any information, content or Marks, except as specifically permitted in these Terms or in a written instrument signed by BODUM®, is strictly prohibited. Nothing contained in any Site shall be construed as conferring, by implication, estoppel or otherwise, any license or right to any copyright, patent, trademark or other proprietary interest of BODUM® or any third party. Any use of the information, content or Marks provided on any Site that does not comport with these Terms shall be an unauthorized use and subject you to civil and criminal penalties as provided by U.S. and international intellectual property laws and other applicable laws. 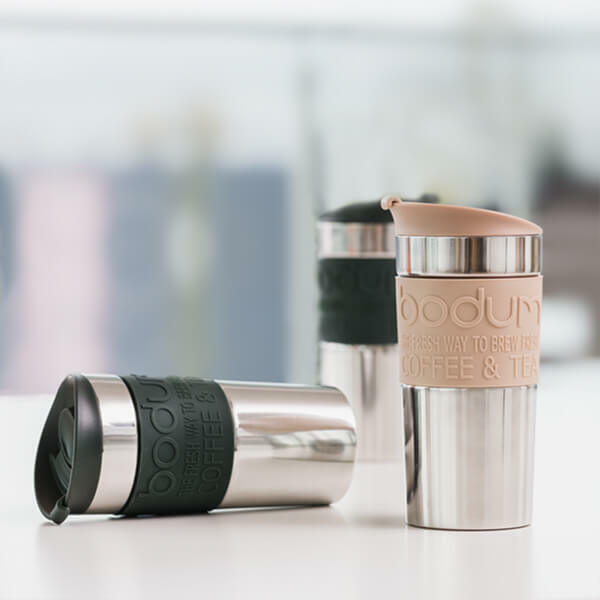 BODUM® makes no representation that materials, Products and services on any Site are appropriate or available for use in locations outside the United States, and accessing them from territories where their contents are illegal is prohibited. Those who choose to access any Site from other locations do so on their own initiative and are responsible for compliance with local laws. For the avoidance of doubt, our Sites may automatically produce search results that reference or link to third-party sites throughout the World Wide Web. BODUM® has no control over those sites or the content within them. BODUM® cannot guarantee, represent or warrant that the content contained in any of those sites is accurate, legal and/or inoffensive. BODUM® does not endorse the content of any third-party site, nor do we warrant that such sites will not contain viruses or otherwise impact your computer or other access device. By using our Sites to search for or link to another site, you agree and understand that you may not make any claim against BODUM® for any damages or losses whatsoever resulting from your use of the Site to obtain search results or to link to another site. Our inclusion of hyperlinks to such websites does not imply any endorsement of the material on such websites or any association with their operators. If you have a problem with a link from the Site, please notify us at email and we will investigate your claim promptly and take any actions we deem appropriate in our sole discretion. For the avoidance of doubt, our Sites may not be used by our visitors (other than retailers of certain BODUM® Products (“Retailers”)) for any commercial purposes other than to inquire about the Products of BODUM®. You must obtain our express prior written consent to make commercial offers of any kind on the Site, whether by advertising, solicitations, links or any other form of communication. Without limiting the foregoing, unless you are a Retailer, you may not resell or link to other sites for the purpose of selling BODUM® Products of any kind without our express written permission. We will investigate and take appropriate legal action against anyone who violates this provision, including, without limitation, removing the offending communication from the Site and barring such violators from use of the Site. We reserve the right to block access to or cancel any order for any user known or reasonably believed to be in violation of this provision. The Commercial Purchase Terms shall apply to the purchase of Products on this Site by Retailers. You understand and agree that in BODUM®’s sole discretion, and without prior notice, we may terminate your access to our Sites, cancel any transactions or exercise any other remedy available if we believe you violated these Terms or the rights of BODUM®, another user or the law. You agree that monetary damages may not provide a sufficient remedy to BODUM® for violations of these Terms, and you consent to injunctive or other equitable relief for such violations. BODUM® may release user information about you if required by law or subpoena, or if release of the information is necessary or appropriate to address an unlawful or harmful activity. BODUM® is not required to provide any refund to you if you are terminated as a User because you have violated any of these Terms. BODUM® is not responsible for the products, services, actions or failures to act of any third party referenced on any Site. Without limiting the foregoing, you may report the misconduct of users and/or third-party advertisers, service and/or product providers referenced on or included in any Site to us at email We may investigate the claim and take appropriate action, in our sole discretion. These Terms expressly include any and all additional terms and conditions that are set forth in any of our Sites, including but not limited to any such terms and conditions that are specified in posted agreements and frequently asked questions (FAQs) listings therein. To the extent any of these Terms are in conflict with any terms and conditions set forth in any particular Site, the terms and conditions set forth in our Sites shall control with respect to the particular Site to which the terms and conditions are posted. OR ANY OTHER HYPERLINKED SITE, INCLUDING, WITHOUT LIMITATION, ANY LOST REVENUES, LOST PROFITS, LOSS OF PROSPECTIVE ECONOMIC ADVANTAGE, BUSINESS INTERRUPTION, LOSS OF PROGRAMS OR OTHER DATA ON YOUR SYSTEM OR OTHERWISE ARISING OUT OF THE USE OR MISUSE OF OR INABILITY TO USE ANY SITE OR THE INFORMATION, CONTENT, DOCUMENTS OR SOFTWARE THEREOF, EVEN IF BODUM USA, INC. OR ITS SUBSIDIARIES, AFFILIATED COMPANIES OR SUPPLIERS ARE ADVISED OF THE POSSIBILITY OF SUCH DAMAGES OR FOR ANY CLAIM BY A THIRD PARTY. YOUR SOLE AND EXCLUSIVE REMEDY AGAINST BODUM® IS TO DISCONTINUE USE OF THIS SITE AND ANY HYPERLINKED SITES. CERTAIN STATE LAWS DO NOT ALLOW EXCLUSION OR LIMITATION OF CERTAIN DAMAGES. IF THESE LAWS APPLY TO YOU, SOME OR ALL OF THE ABOVE DISCLAIMERS, EXCLUSIONS OR LIMITATIONS MAY NOT APPLY TO YOU, AND YOU MIGHT HAVE OTHER RIGHTS, WHICH VARY FROM STATE TO STATE. Without limiting the above disclaimers, BODUM®, BODUM® Companies and BODUM® Affiliates and licensees and its and their respective directors, members, shareholders, officers, employees and agents (1) make no warranties or representations whatsoever concerning the Site or any other Internet site, the access to, or the availability or use of, the Site or any other Internet Site, the information and content from whatever source posted on or referred to in the Site or any other Internet site or the accuracy, completeness or timeliness of such information or content; (2) do not warrant or represent that your access to, or use of, the Site or any other Internet site will be uninterrupted or free of errors or omissions, that defects will be corrected, or that the Site or any other Internet site is, or the information or content from whatever source available for use or downloading are, free of computer viruses, worms, Trojan horses or other harmful components; (3) do not represent or warrant that any services or products listed on, or accessed through, the Site will be available for purchase or not withdrawn at any time and makes no representation or warranty of any kind whatsoever concerning such products and services; and (4) do not represent or warrant the accuracy, functionality or specifications or any other aspect of items from whatever source posted or accessed through the Site. The Site may use hyperlinks as a convenience to you so that certain reference material, BODUM®-related subjects and other pertinent material are easily accessible. Linked and referenced sites may not be operated, controlled or maintained by BODUM®. Hyperlinks and references to other sites, including any BODUM®-affiliated entity, do not constitute sponsorship, endorsement or approval by BODUM® of the information, content, policies or practices of such linked or referenced sites. BODUM®, its subsidiaries, affiliated companies and joint partners do not accept any responsibilities for any information or content, availability, policies, practices or any use of such sites. You access, browse and use such sites at your own risk. The above limitations of liability reflect the allocation of risk between the parties, and will survive and apply even if any limited remedy specified in these Terms is found to have failed of its essential purpose. The limitations of liability provided in these Terms inure to the benefit of BODUM®, the BODUM® Affiliates and/or their respective suppliers. If, notwithstanding the limitations of liability above, BODUM® or any of the BODUM® Affiliates are found liable for any loss or damage which arises out of or is in any way connected with any use or operation of the Sites, then the liability of BODUM® and the BODUM® Affiliates will in no event exceed, in the aggregate, the lesser of (a) the service fees you paid to Bodum USA, Inc. in connection with such transaction(s) on the Site(s), or (b) [One-Hundred Dollars (US$100.00)] (or the equivalent in local currency). BODUM® has no obligation to update any information or content on any Site. Accordingly, BODUM®, its subsidiaries, affiliated companies and joint partners assume no responsibility regarding the accuracy of the information or content provided on any Site. Any use of the information or content provided on the Site is done at your own risk. 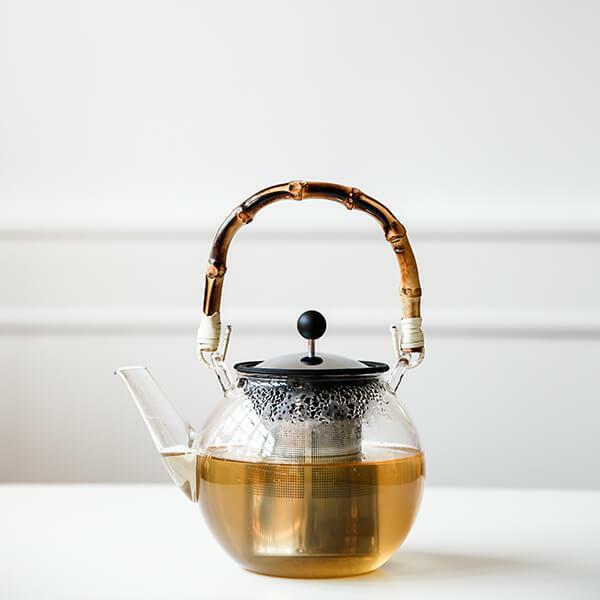 In states where BODUM® has no physical presence, BODUM® is not required to collect or remit sales tax for Products purchased through the Site. However, many states require that their residents file a sales or use tax return for Products purchased online. You should consult your state and local tax laws to determine compliance with tax laws and regulations in your geographic area. In some states, BODUM® collects and remits sales tax. For purchases for which sales tax is applicable, the tax calculated will be reflected on the checkout page before you are asked to confirm the purchase. 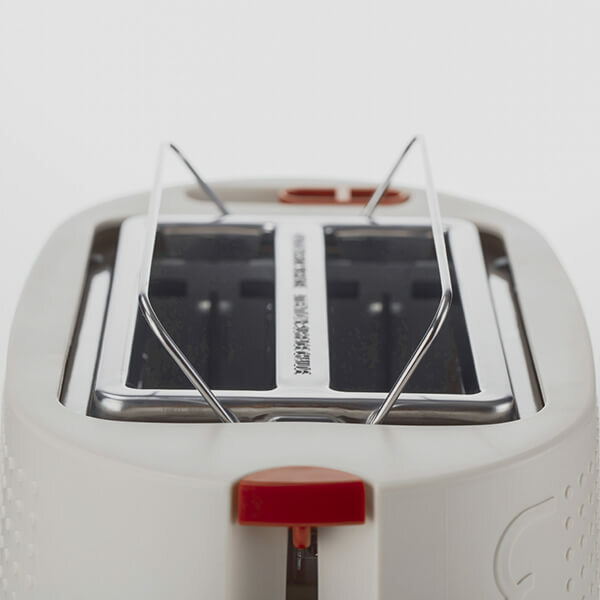 BODUM® uses commercially reasonable efforts to calculate and remit the correct amount of tax required on each taxable purchase, but BODUM® does not guarantee the accuracy of the amount of the tax BODUM® represents to you as the tax owed. Minor errors may occur owing to the inability to accurately track multiple taxing districts, state and local “tax holidays,” the timing of rate changes or the application of certain taxes to categories of items advertised on the Site. As a result of any error, BODUM® may overcollect or undercollect the tax. In consideration of BODUM® allowing you access to and use of the Site, and in collecting and remitting taxes required on your purchases, you hereby waive your right to claim that the tax collected on any purchase is incorrect in any respect and agree to hold harmless BODUM®, its officers, directors, employees, agents and representatives (and those of its affiliates), for any harm or other damages you may incur as a result of BODUM®’s error in calculating the taxes on your purchases. Some banks and credit card companies impose fees for international transactions. If you are making a purchase from outside of the United States on a U.S. credit card, your bank may convert the payment amount to your local currency and charge you a conversion fee. This means the amount listed on your credit card or bank card statement may be in your local currency and, therefore, a different figure than the figure shown on the order summary page for a purchase on the Site. In addition, a foreign transaction fee may be assessed if the bank that issued your credit card is located outside of the United States. The currency exchange rate and foreign transaction fee is determined solely by your bank on the day that they process the transaction. If you have any questions about these fees or the exchange rate applied to your booking, please contact your bank. All content of the Sites is © 2017 Bodum USA, Inc. All rights reserved. BODUM® and all related names and logos are either registered trademarks or trademarks of Bodum USA, Inc. in the United States and/or other countries. Other logos and product and company names mentioned herein may be the trademarks of their respective owners. Bodum USA, Inc. is not responsible for content on websites operated by parties other than Bodum USA, Inc. If you are aware of an infringement of our brand, please let us know by e-mailing us at email . We address only messages concerning brand infringement at this e-mail address. One or more patents owned by the BODUM® Companies may apply to the Sites and to the features and Products accessible via the Site. Portions of the Site operate under license of one or more patents. Other patents are pending. These terms shall be governed by and construed under the laws of the State of New York, United States of America, without regard to conflict of laws principles. Any legal action with respect to any transaction subject to these Terms must be commenced within one year after the cause of action has arisen. Any actions arising out of products purchased through the Sites shall be commenced exclusively in the state or federal courts of competent jurisdiction in New York, New York USA. You agree to submit to the jurisdiction of these courts and waive any claim that venue is improper for any reason in these courts. BODUM® controls its Sites (excluding linked sites) from its offices in the United States of America, and makes no representation that any content contained in the Site is appropriate or available for use in other locations. Accessing the Site in locations where the use of such content is illegal is prohibited. If any part of these Terms is deemed unlawful, void or unenforceable, that part will be deemed severable and will not affect the validity and enforceability of any remaining provisions. The section titles herein are for convenience of reference only and have no legal or contractual effect. By using the Site, you agree that BODUM®, at its sole discretion, may require you to submit any disputes arising from the use of the Site, or these Terms concerning or, including disputes arising from or concerning their interpretation, violation, invalidity, non-performance or termination, to final and binding arbitration under the International Rules of Arbitration of the American Arbitration Association, by one or more arbitrators appointed in accordance with the said Rules. Notwithstanding these rules, however, such proceeding shall be governed by the laws of the state as set forth in the previous section. Any award in an arbitration initiated under this clause shall be limited to monetary damages (as further limited herein) and shall include no injunction or direction to any party other than the direction to pay a monetary amount. Further, the arbitrator(s) shall have no authority to award punitive, consequential or other damages not measured by the prevailing party’s actual damages in any arbitration initiated under this section, except as may be required by statute. By using this Site, you further agree that you will not use this Site or any materials available hereon for any unlawful activity, or use it in any way that would violate any of these Terms. When applicable, you further agree, as a condition of using this Site, to ensure that all of your agents, employees and independent contractors adhere to these Terms.